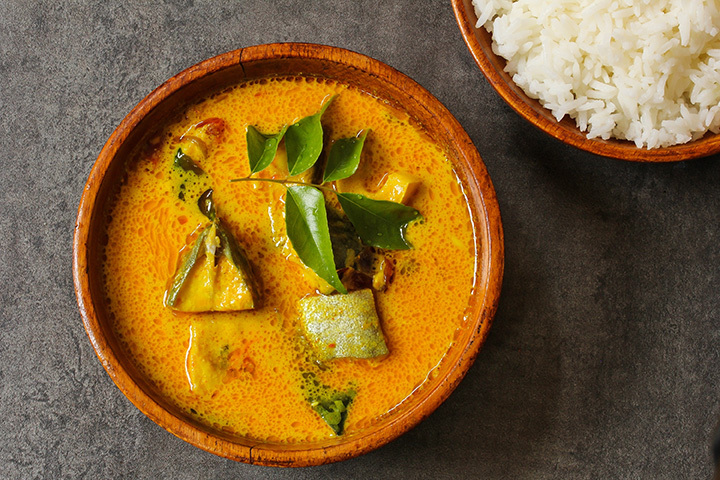 With unique spices and a variety of tastes, Indian cuisine is something to experience. Michigan’s Indian restaurants serve up all of the classics from chicken and lamb dishes to vegetarian options. Here are the 10 best Indian restaurants in the state. Kalamazoo's Cumin Indian Cuisine combines the warmth and familiarity of the neighborhood restaurant with the exotic nature of Indian food, and does so very well. Featuring a lunch buffet that opens up the full range of opportunities to the casually-interested, as well as a full menu for those better acquainted with the concept, you'll find just about anything you could ask for here. With naan bread made from scratch daily, and options ranging from vegetarian to dishes involving goat, there's no shortage of things to try. A recent arrival in Grand Haven, Cumin Fresh Indian Kitchen declares that “good food puts you in a happy mood.” Hard to dispute that, and Cumin will deliver what it calls “traditional Indian flavor with a modernized twist.” With Tandoor specialties, curry pots, biryani and more waiting for diners, there will be enough options to let most anyone find the good food that puts them in the happy mood here. Nine different types of bread, and a range of dessert options don't hurt here either. Hit Grand Rapids for a taste of Curry Kitchen, a place that understands a wide range of diner interests. From the lunch buffet that allows a wide range of tastes all at once to the kids' menu that helps ensure that even the pickiest eater will come away satisfied, everything's on hand. Meanwhile, the regular menu boasts hot and cold dishes, and runs the gamut from fish and shrimp to chicken and goat, all spiced to your taste at one of five levels of spiciness. Take a trip to Battle Creek for A Taste of India, both the restaurant and the reason for going. The dishes are all individually prepared, which means full control over the level of spiciness is on hand. Whether you're after vegetarian fare, goat, chicken, shrimp or something else completely, you'll find it right here. Throw in a range of dessert options, as well as some unique South Indian specialties like masala dosa and vegetable uttappam, and you'll have the complete package right here. Lazeez is actually an Indian word meaning “delicious,” which means the business has a lot to live up to. This Spring Arbor restaurant will definitely push the envelope, trying to present what it describes as “a blend of flavors” designed to not be spicy, but rather, flavorful. The menu runs the gamut from vegetarian to chicken and beyond, and since it's cooked by a mother/daughter team, the end result is a little something special from a small operation. Head to Okemos to take on the Persis Indian Grill, home of authentic dum biryani. Persis actually spread out to several other states—17 locations total—so if you're inclined to try this elsewhere, you may be able to find it. But in Okemos, you'll get a range of options so wide it takes two menus to fully encompass the range. You'll have options specifically for take-out lunches, a range of appetizers in vegetarian or with meat, several dessert choices—ever think carrot could be a dessert item? Try the carrot halwa—and beyond to make the full range. Grill of India in Flint proves that you can find good Indian food just about anywhere in Michigan. Founded in 2005, it's been delivering top-notch Indian fare for over a decade now, and the range of menu options lets it show quite clearly. With a lunch buffet to open up the range, to a slate of appetizers and entrees in both vegetarian and with meat, you'll have no shortage of choices here. Desserts, drinks, and even a kids' menu round out the options here to make this one noteworthy experience. Cardamom Restaurant in Ann Arbor actually has so much variety it has four different menus: there's a weekday lunch menu, a dinner/weekend menu, a carry out menu and a menu just for the bar. While they've got the standards of tandoori and biryani—done specifically, the menu points out, in the Hyderabad style—they've also got some options available specific to Cardamom. All three are medium-spiced, though they can be ramped up to hot, and you'll have the choice between Bapu's goat chops, bihari kabab, and grilled masala salmon. Another new addition, this time in Saginaw, Shahi Indian Cuisine offers food it describes as fit for royalty, since “Shahi” actually means “royal” in Hindi. It's got dine-in and carryout options, allowing you to enjoy the dishes your way, and just about everything from the standard tandooris and vegetarian fare is on hand here. Chicken, lamb and goat, seafood and more are also in play, and some authentic Indian drinks like tea flavored with cardamom and the nearly-ubiquitous mango lassi, you'll have the full run of options all waiting in Saginaw! Star of India in Ferndale does a little something different with its Indian fare, focusing on dishes made mainly with the aid of a clay oven. While that means a lot of similar items, that means some new stuff and even some of the old stuff made differently. The Star of India Special Appetizer, for instance, boasts two samosa, four Onion Bhajee, four eggplant pakora and papadam, all on one plate. Breads, soups, tandoori, biryani and some other entrees are all on hand here, making the Star of India a real star in Michigan's Indian food scene.